This publication provides a summary of the 12 modules of the WASH in Schools for Girls E-Course developed by Emory University and UNICEF. Categories: WASH Guidelines and WASH Research Documents. 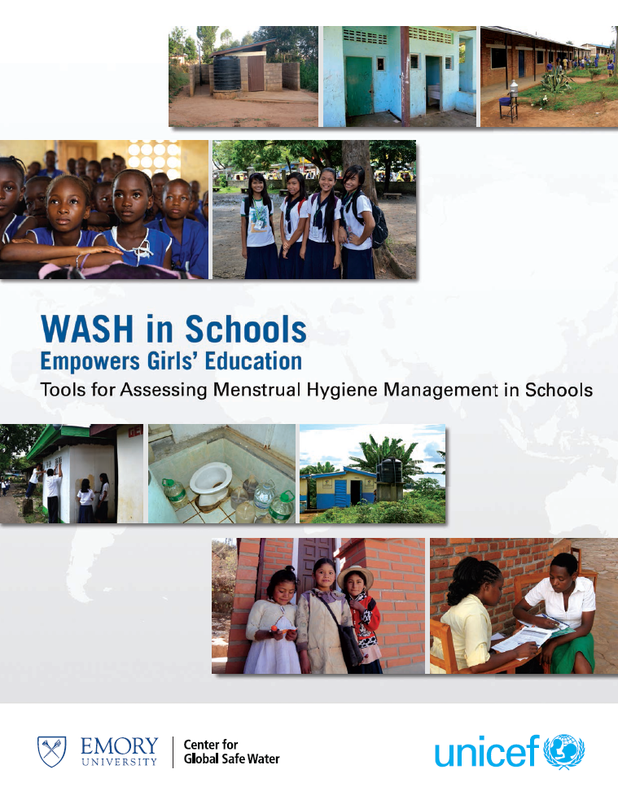 These tools for assessing menstrual hygiene management in schools were developed by Emory University and UNICEF in 2012 and are meant to be used and adapted for MHM assessments in schools around the world. Tags: Menstruation Hygiene Management and Menstruation Hygiene Management. Organisations: Emory University and Emory University. Categories: WASH Blank Forms. 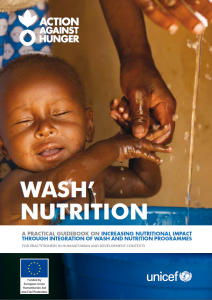 A practical guidebook on increasing nutritional impact through integration of WASH and Nutrition programmes. It is meant for practitioners in humanitarian and development contexts. Tags: Capacity Building, Child Friendly Facilities, Cross Cutting, Excreta Management, Human Right to Water / Sanitation, Hygiene Promotion, Protection, WASH Assessments, WASH Coordination, WASH Monitoring, WASH Programme Health and Safety, and WASH Strategy Development. Locations: Africa, Asia and the Pacific, Central Asia, Europe, Middle East, and South-West Asia. Organisations: ACF. Categories: WASH Policy Guidelines. 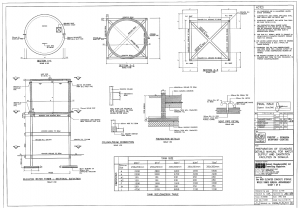 This document contains design drawings and BoQs for 20m3, 25m3, 50m,3 60m3 and 75m3 reinforced concrete elevated Water Tanks sitting on top of a 6m reinforced concrete tower. Tags: Piped Water Networks, Water Storage, Water Supply, and Water Supply. Languages: English, English, English, and English. Categories: WASH Reference Documents, WASH Reference Documents, WASH Reference Documents, and WASH Technical Designs.